Add percussion to your project! 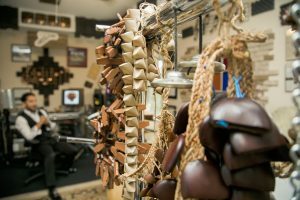 I have a large host of percussion instruments from around the world available to record and add to your project right from my personal recording studio. Over the last twenty years I have studied various music traditions and collected rhythms from around the world. This has enabled me to develop a technique that allows me to produce a wide range of sounds. I also have instruments I have invented and created alongside my father to make some unique sounds to add just the right amount of flavor to your song or album! All I need is an mp3 or wav file and your instructions on music and production direction. You can email it, dropbox or even send it in the mail on a CD or thumbdrive. With the ability to record right here from my studio I am able to keep the cost of recording affordable and convenient for many artists, and singer songwriters. I have a multitude of great microphones and equipment at my fingertips affording me the ability to delivering a clean and pure sound of whatever is required for the recording. I have collaborated with dozens of artists and continue to keep the purpose of the project as my highest priority. Contact me at williamjohnsonmusic@gmail.com to discuss details. I look forward to working with you!